Specializing in both residential and commercial air conditioner replacement, Kool Koncepts is dedicated to keeping the people of Plano cool. No job is too big or small and we deliver 100% customer satisfaction on every service. We offer a wide selection of air conditioner models at affordable prices to meet your AC installation needs. When you work with Kool Koncepts, our trained service technicians will sit down with you to discuss your needs and help you find the best air conditioning system for your budget. We pride ourselves on working hard to ensure not only affordability but exceptional customer care, as well. So whether you need air conditioner installation for a single unit or an entire office building, our highly trained and experienced contractors will provide speedy, high-quality service you can depend on. #1 We repair all brands of air conditioners. There’s no air conditioning system that’s a mystery to our team of technicians. We are closely following the latest updates and technological improvements in the industry all the time. It has become quite obvious that the modern air conditioning systems are becoming more complex and sophisticated to use, maintain, and repair with each new model. That’s why we just can’t afford ourselves a luxury of staying behind in the industry. #2 We have all the right tools. We use only the original and certified equipment for our maintenance and repair work. The same goes for components we install into your air conditioning system. We have invested so much money, time, and energy in building our reputation that is simply unthinkable to risk it all with cheap components acquired from no-name manufacturers. You can check our website and see for yourself that we work only with the proven brands and the top quality materials. #3 We hire only the most skilled and experienced technicians. Our reputation is flawless and we intend to keep it that way. That’s why only the best air conditioning technicians in Plano, TX work for us. Our selection process is quite rigorous and demanding one. At the same time, we aren’t “hire and fire” companies. We have technicians working for us from the day one we started our business. They provide the excellent quality of services because they know we will have them with us until they retire. #4 We have been in the industry for quite some time. For more than ten years we have been a part of this extremely competitive industry. There’s only one way to survive that long and constantly grow your business. That’s not an easy way because it asks you to work hard and dedicate yourself completely, but we wouldn’t want it the other way. #5 We have a proven track record. Our references are the heart and soul of our business. Our reputation is built on flawless working record and unquestionable professional ethics. We are fully transparent when it comes to our work, prices, and references. 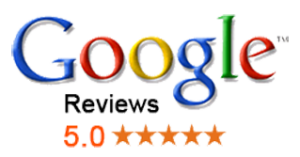 Feel free to evaluate our reviews and ask for additional ones. #6 We appreciate your feedback and value your suggestions. We treat our customers as the genuine members of our team. Every single feedback is priceless for our work. Every single suggestion is thoroughly evaluated and then applied in the field. We are the experts in what we do, but this doesn’t mean that we have seen and known it all. There’s always room for improvements in the quality of services we provide. #7 We are long term business runners. Our honest wish is for our business to last for generations. We don’t dream huge corporate dreams, but rather focus on our local community and its well-being. There’s no financial or time limit how long we are going to stay in business. As long as the clients award us with their trust, we will be at their disposal. #8 We aren’t after your money. The profit isn’t the only nor the most important thing that motivates us. 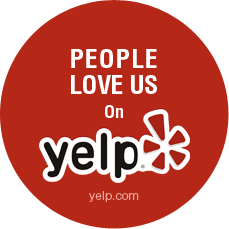 Your satisfaction and recommendations are priceless for us. Those are the things we just can’t get enough of. We are fair players who respect the money and the trust of their clients. Both personal and professional relationships we are building together are much more important than any financial gain. #9 We believe that’s better to maintain than to repair. We suggest a repair only when there’s no other option left for your air conditioner. Also, we put a strong emphasis on regular maintenance and care of your air conditioning system. The easiest thing for an air conditioning technician to say is – let’s fix it. However, we’re restless when it comes to the advice we give to our customers that regular checks and maintenance work is the best and budget-friendly options for your air conditioner. #10 We respect the privacy of our customers. The absolute discretion is paramount for our technicians. What they hear, read, see, or discuss while working in your home is treated as a confidential piece of information. Call today, to learn about our seasonal specials and AC system installation options because it would be a whole lot cooler if you did. Kool Koncepts is your air conditioner’s best friend for the reasons we have mentioned and justified. 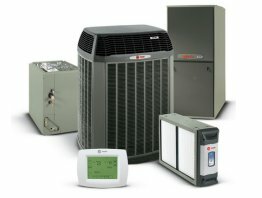 Your air conditioning system deserves the proper care, maintenance, and repair services in Plano, TX. We are available 24/7 and ready to put our good name to the test at any given moment. We aren’t magicians, but we believe that magical results can be achieved with an honest approach, hard work, and absolute dedication. There are no shortcuts in this business. And, there’s nothing more valuable than the safety and comfort of our customers.